One of the greatest pleasures of my life is being a stepmom. It has been so rewarding and a fulltime source of growth for me personally. Being a parent, whether, by birth, adoption or within a blended family is a tremendous gift. It is, however, a gift that does bring many challenges. As Christmas approaches and plans are being made, I am reminded of some of those challenges. 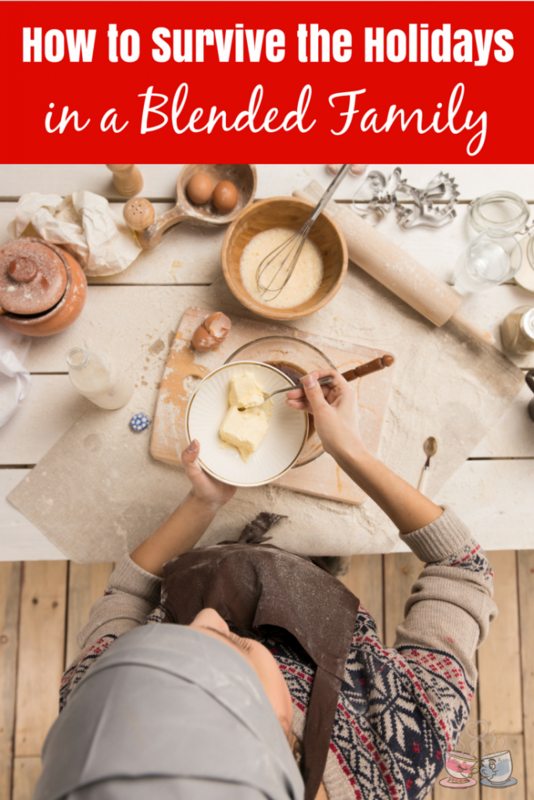 These tips are shared from my perspective in a blended family but can be applied to any person who has a family, because goodness knows the holidays bring family stress! This post contains affiliate links. If you make a purchase via these links I earn a small commission. Let’s face it if everyone involved digs their heels in and refuses to bend it can make you want to run and hide instead of celebrating. From the very beginning, be the one who is flexible. Choose a day other than the exact holiday and celebrate. 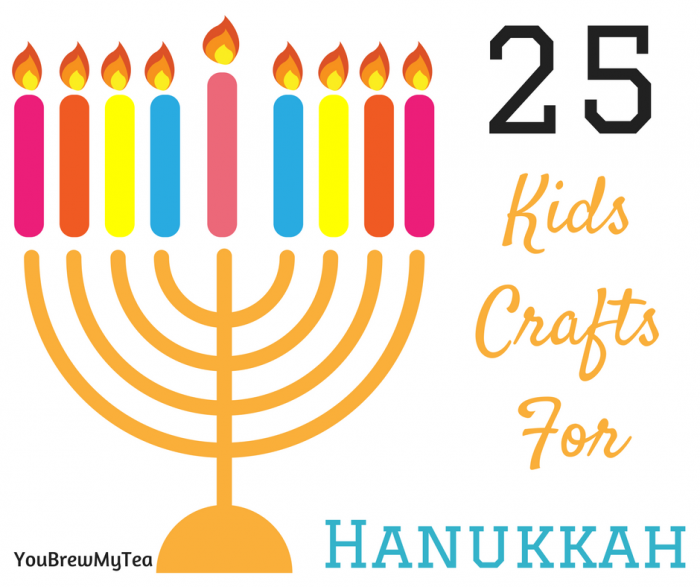 With a little planning and a positive attitude, the Saturday before or after Christmas can be just as fun to spend with your child as December 25th. In fact, it can be even better because the pressure is less and often you get the entire day or weekend to celebrate instead of forcing the issue and getting an hour on the exact date. This also teaches your child the value of being flexible. Does your child or children have step-siblings or half-siblings? Especially for younger kids, it is hard to understand why one child leaves for the holiday while another comes to stay for several days. The dynamics of a blended family can be very confusing so one thing you can do is be kind and accepting of the other kids involved. Our son has a stepbrother his age and a half brother who is much younger. Over the years we have taken every opportunity to accept and include his brothers all year long and especially on holidays. This can look like inviting them to come along for weekend visits or buying them a gift on a holiday. But more often it looks like taking 5 or 10 minutes at pick up or drop off to speak to the other kids and get to know them. Doing this doesn’t take much time and it goes a long way to show your own child you care about their entire family. This can actually be as little or big as you want to make it. Over the years, we have had Christmas with our son everywhere from our own living room to sitting in a car in a parking lot. For us, the “where” can’t be consistent but the “what” can be. So, we always get him a Pez dispenser, a fun hat of some type and a pajama/sleep set that we also buy a duplicate of for his dad. These are traditions we started and have been able to maintain over time. As a little boy, he loved penguins so that became a tradition as well, we always give him something with a penguin on it. Now as an older teenager, who doesn’t want a stuffed penguin, it is as simple as penguin wrapping paper. It can be a fun tradition like homemade pizzas or Mexican Food or driving around to look at Christmas lights. With so many things that are shared, because of not having your child every day, these traditions can be extra special and something that is always remembered. Don’t forget that holidays can be especially stressful for kids. In blended families, the children can feel torn between parents and families. It is important to talk with your child to be sure they understand that your main goal is to see them and spend time with them. If possible, let them help come up with a solution. Ask them what sounds fun to them or ask them how they would like to celebrate with you. They may surprise you and say that they would like to spend New Year’s weekend celebrating Christmas at your house. Many kids in blended families constantly worry about hurting one parent’s feelings. By hearing their thoughts and feelings, you will give them a safe place and reassurance they need that they aren’t letting you down this holiday season. At the end of the day, your child and their wellbeing are more important than a holiday or tradition. If you are struggling to learn how to talk to your child, there are some great books that can help you to understand how to navigate your blended family. There is a popular Christian based book called, God Breathes on Blended Families. Other popular books for blended families are The Smart Stepfamily and The Smart Stepfamily Marriage. 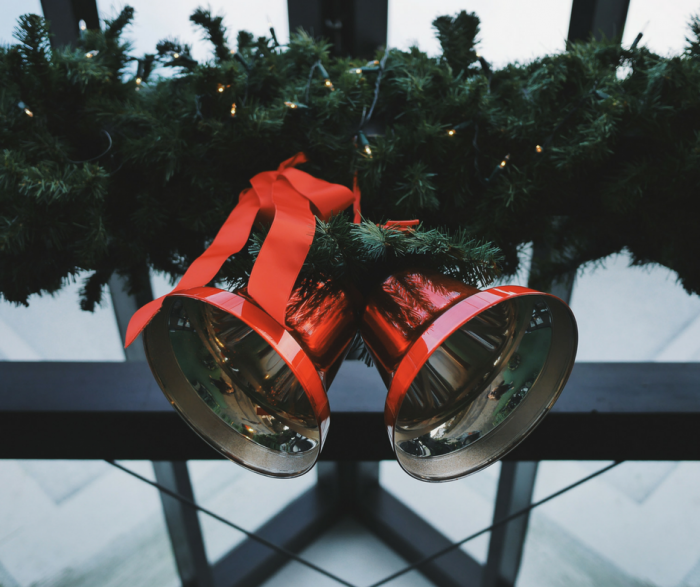 As Christians, we celebrate Christmas but sometimes we get so caught up in the gift buying and drama that we do not remember to pause and focus on Christ’s birth and what that means. I know many people celebrate for other reasons or other holidays during this time of year. Take the time to teach your child why you are celebrating and what the true meaning of the holiday season is for you and your family. 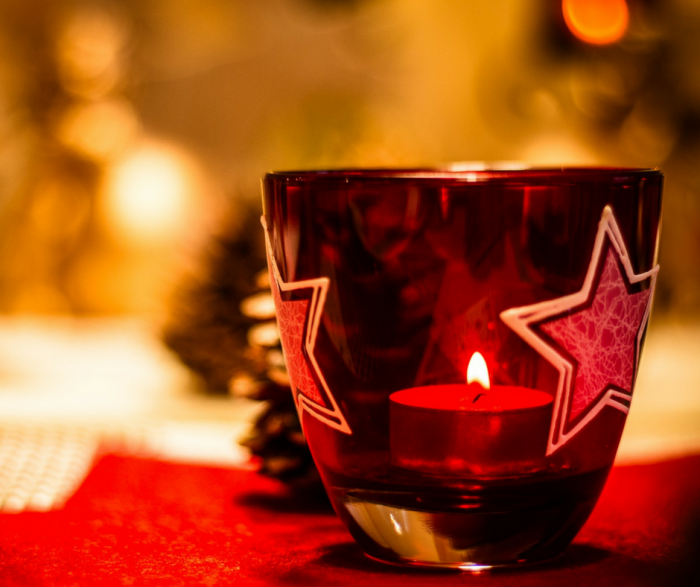 Take the focus off what others around you or even in your child’s other household, find important and regroup on what the holiday means to you. Remember that your heritage is an important part of what you pass along to your child and holidays are often a great time for teaching them more about their heritage. Take a moment for yourself!! I can’t stress this enough! In all the rush and planning it is important to take the time you need to be ready for what is ahead. It is also important to take a moment as needed during the holiday celebrations. Leading up to the holiday, make a list and do the absolutely necessary things first. Give yourself permission to leave some things undone. If you are preparing food, give yourself permission to buy all or some already prepared. Cut out some stress that you have control over because the holiday will naturally provide stress that are out of your control. Let others help if they offer. Do something for yourself, maybe a manicure or massage to make you feel renewed. Even a walk by yourself to pray or collect your thoughts. Have a plan for when the celebrations are in full swing. If things get stressful, slip outside for a little fresh air or text a trusted friend who can bring your spirits up. It is not impossible to have a nice holiday season when your family is blended, it simply takes a little planning and flexibility! These are some of the best tips that have helped over my 10+ years as in a blended family. I hope they help you this year! 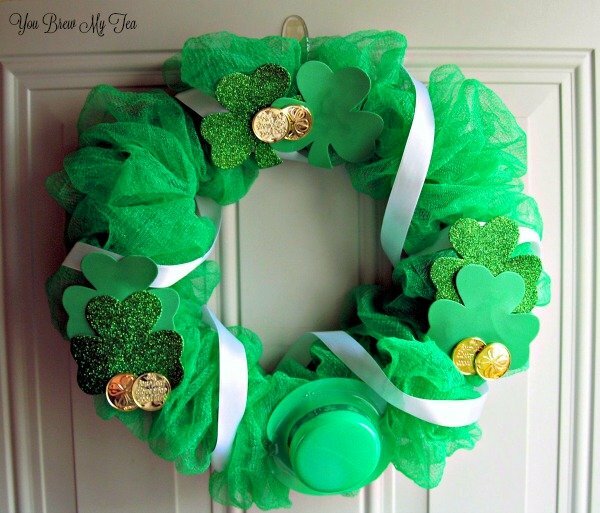 I just adore easy and cheap dollar store crafts, and I am so lucky to have my friend Allison from Crafty Mother Of 2 to make stuff like this St. Patrick’s Day Wreath and share with you here. 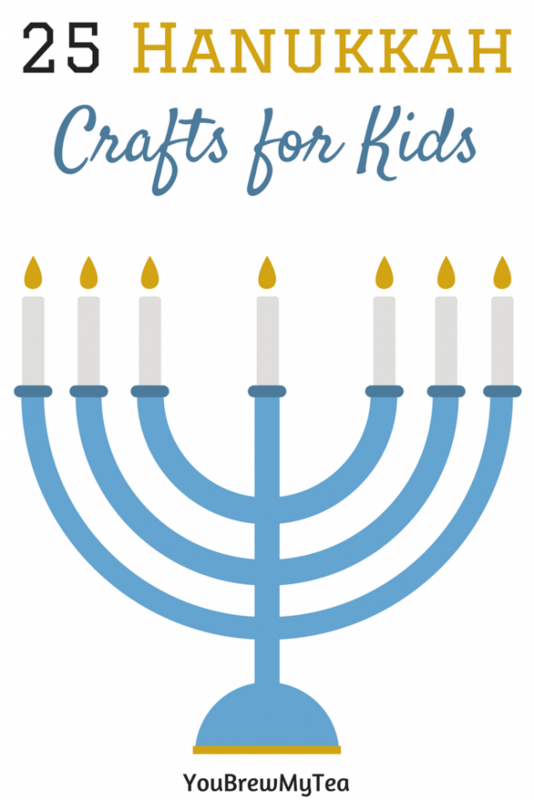 I am just a total klutz with a glue gun, so I prefer to leave the pros to these projects. She does a great job, and all under $10. Often much less! To get started, take a trip to your local Dollar Tree or another dollar shop. Most of the supplies are going to be under $1 each, and some you may already have on hand like the glue gun, scissors, and floral wire. Especially if you have already made our Snowman Wreath or Valentine’s Day Wreath. 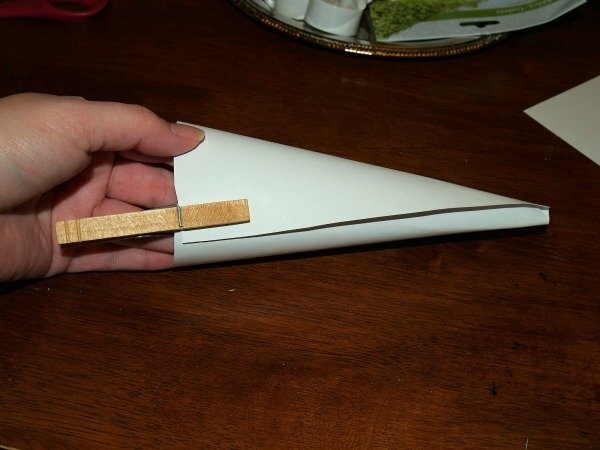 Since this is a fairly easy dollar store crafts idea, you could get your kids involved with making it with you! 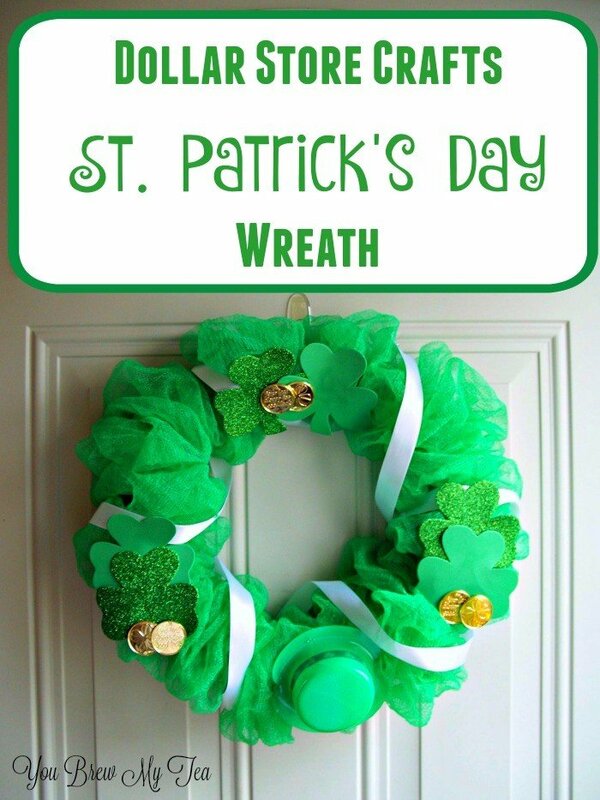 I love being able to get the kids involved in fun holiday crafts, and this St Patrick’s Day wreath seems like a great choice! Step 1: Cut apart Bathroom Puffs at string holding them together. Pull apart and slide over the embroidery hoop fluffing out as you go. To save money I carefully took off the pink bathroom puffs I used for the Valentine’s Day wreath and packed those away until Next year to reuse the embroidery hoop for this project. Step 2: Spiral your white ribbon around the wreath. Before gluing down I used a safety pin to hold the one end. Once I had the look I liked I then glue down the ribbon. Step 4: If you reuse your embroidery hoop try to keep the wire hook on. If you have a new hoop then make a hook using craft or floral wire to hang your wreath with. Simply wrap floral or craft wire around the hoop and twist to secure. Measure a length of wire that gives you enough room to hang on your door or wall as desired. That’s it!! 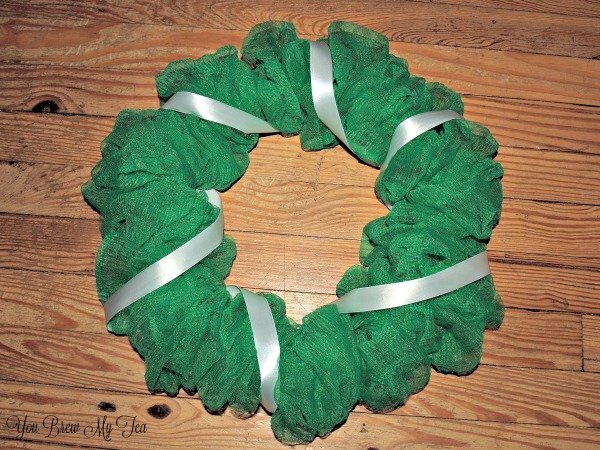 You now have a festive dollar store crafts St. Patrick’s Day Wreath! The best part of using the bathroom puffs and embroidery hoop is that you can reuse the hoops for multiple holidays, and I’ve tried to put them back on and had no real trouble getting them back together. 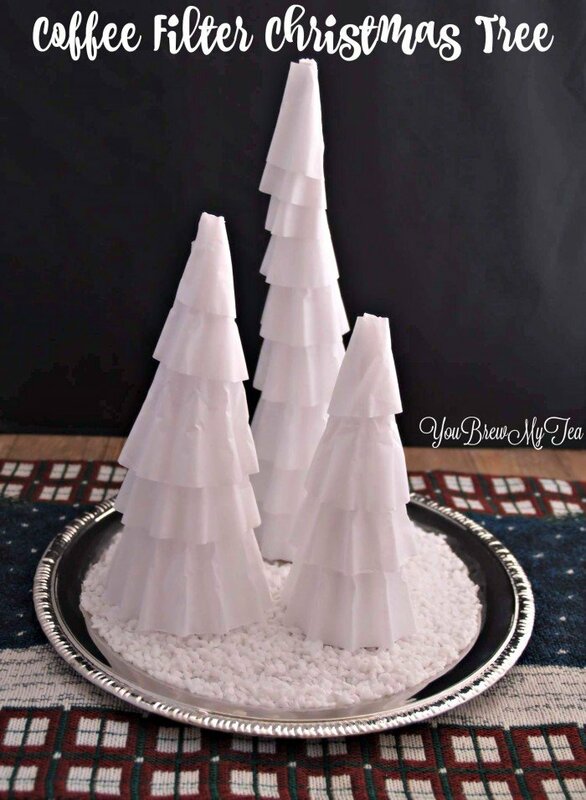 I love this simple dollar store crafts idea! 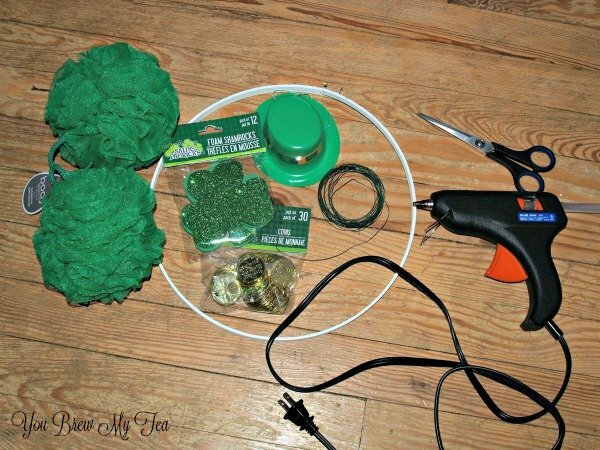 It’s so easy, fun and makes a perfect St. Patrick’s Day Wreath! Check out some of our other great St. Patrick’s Day ideas below! 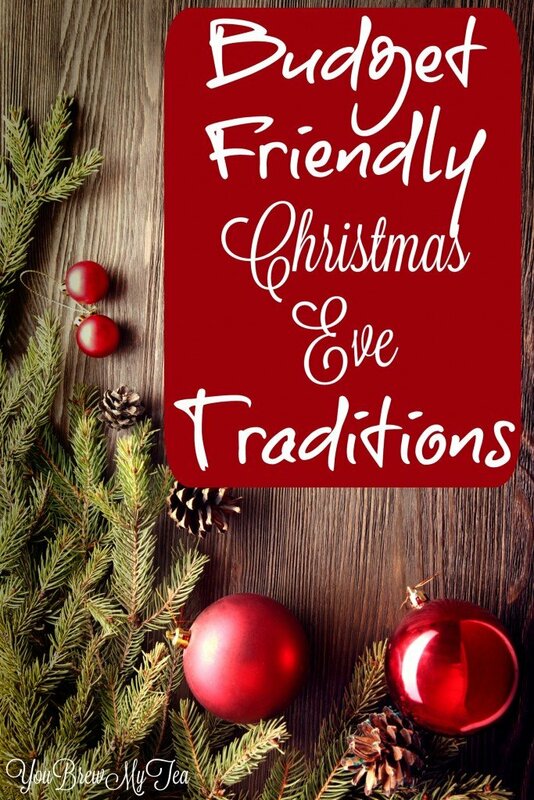 Christmas Eve is so close, and these budget friendly Christmas Eve traditions are perfect for making a wonderful holiday for your family. My family seriously enjoys the eve part of Christmas, just as much as we do the actual holiday. 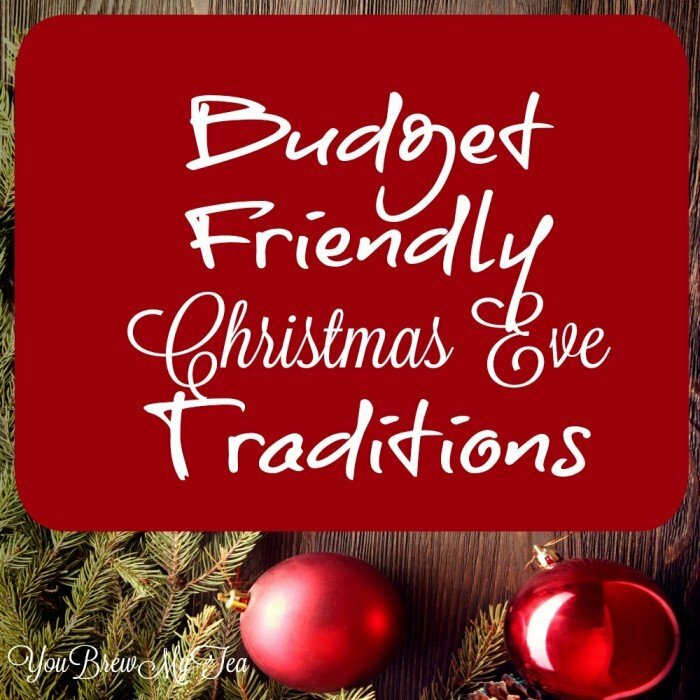 I wanted to share some budget friendly traditions that we do on Christmas Eve that your family may also enjoy as well. Another budget friendly Christmas Eve tradition that we do is decorate sugar cookies. I don’t go overboard with cookies because it’s not like we need all of the extra sugar. I buy premade dough, frosting, and sprinkles and I allow the boys to go to town. 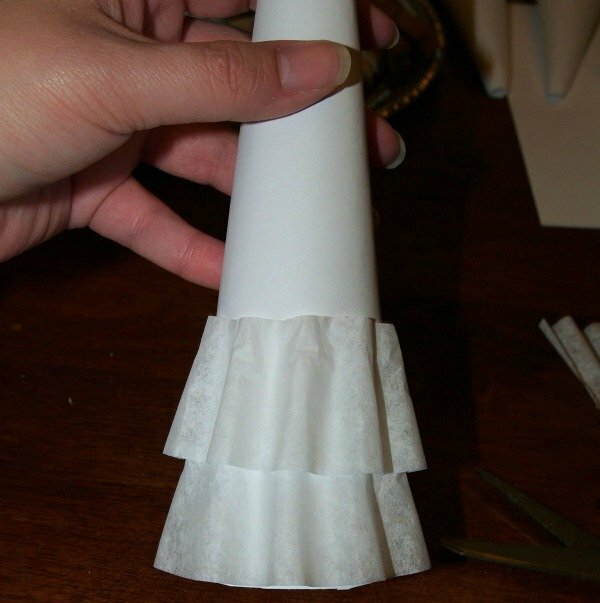 You can even get a simple decorating kit to make it easier and a bit fancier. It’s truly a fun and festive way to celebrate the holidays. I am all for budget friendly traditions because there’s no sense in spending a ton of money on something that will only last a few seconds. I absolutely love making popcorn strands with my older boys. And plus, let’s be honest, popcorn is so cheap. You can make endless popcorn strands and still stay on budget. We just won’t talk about the mess that is made. Don’t forget about the classic paper chains, paper snowflakes or even strings of cranberries! Okay and my favorite all-time favorite Christmas Eve tradition is reading the story of Jesus’ birth. My husband normally does this and my kids love hearing it. He’s good with the voice inflictions and ensuring our kids know the true reason for the season. It’s always a blessing to us! If you’re looking for budget-friendly Christmas Eve traditions, just remember that your kids aren’t going to remember what you bought them. They will remember what you taught them and the time you spent with them. What’s your favorite Christmas Eve tradition? 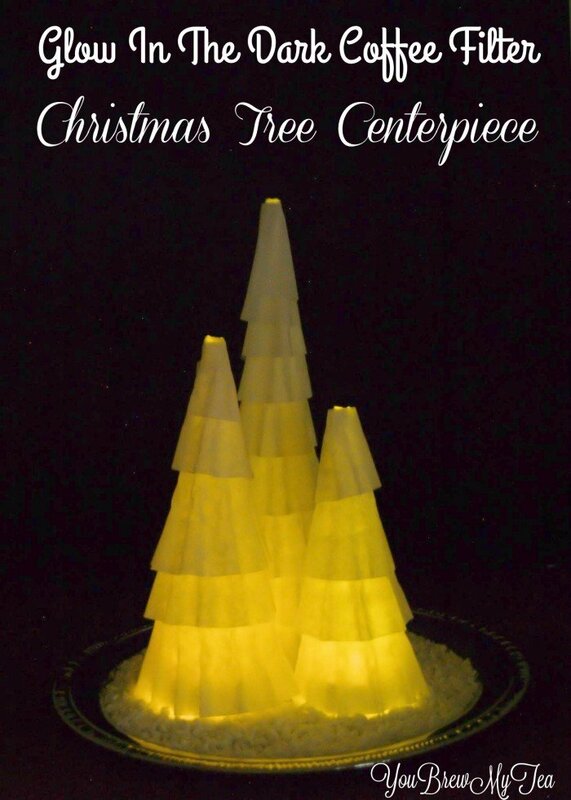 Check out some of our favorite holiday traditions, crafts, and ideas!